Mark Kersten, a PhD candidate in the International Relations Department at the London School of Economics, is our newest associate contributor. The following, originally posted at Mark’s blog Justice in Conflict, is the first in what we hope will be a thought-provoking series of posts on the election of the next International Criminal Court (ICC) Prosecutor. We hope that you find these posts both interesting and informative! 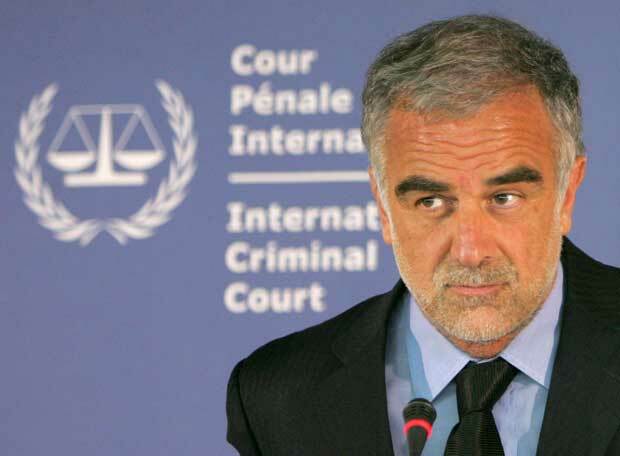 The term of the ICC’s first Prosecutor, Luis Moreno-Ocampo, is slowly, albeit dramatically, drawing to a close. In December 2011 the members of ICC’s Assembly of State Parties will convene to choose the Court’s next Prosecutor. He or she will officially replace Moreno-Ocampo in June 2012. Every member-state of the Court will have one vote in deciding the ICC’s second prosecutor. In early February, the ICC set up a search committee to identify some potential candidates. Moreno-Ocampo is the only chief Prosecutor the Court has ever known. Since 2002, when the ICC came into being, he has managed to shine a tremendous amount of spotlight on the workings of the Court. He has also managed to rub a lot of people the wrong way. His record will be something for scholars of all stripes to pour over in the coming years. But what about the next ICC Prosecutor? Who will he or she be? The Assembly of State Parties will decide in December 2011who the next ICC Prosecutor will be. There are a number of issues member-states will consider as they take time over the next few months to decide who they will support. A range of factors will surely shape the calculus of states as they inch towards the December vote. Here are a few considerations. The question of the region and nation from which the next Prosecutor comes from is perhaps where the political inclinations of every state and non-state actor involved in the election will be strongest. This is also where the danger of vote trading is highest – states trading and grouping votes together on the basis of political considerations (eg. a vote in another international institution) rather than basing their decisions on the quality of the candidate. It is highly unlikely that the Prosecutor will be North American or European. The vast majority of member-states come from Africa, South America and Asia. Africa still makes up the largest contingent and the AU has already been clear that it wants an African Prosecutor to lead the Court. Noting that none of the ICC’s top positions (ie. the heads of the Court’s four organs) are filled by an African citizen, there is a strong case to be made that the next Prosecutor should be African. According to one report, the AU will nominate a candidate this summer. Moreno-Ocampo is an Argentine. One of his earliest professional roles was as an assistant prosecutor in the trial of Argentina’s Dirty War leaders. Will the next Prosecutor also come from a non-Western state which has persevered through mass human rights atrocities? It seems at least a distinct possibility. An African Prosecutor certainly wouldn’t be a bad political choice. A widely respected African candidate would dampen charges of neo-colonialism and the view of the Court as a European-Court against Africa. An interesting political choice would also be an Arab and/or Middle Eastern candidate, perhaps from one of the Arab Spring states. This would only add to the impressive and powerful movement of Arab and Middle Eastern states towards recognition and greater participation in international criminal justice. It would be a remarkable signal to the world that the Middle Eastern and Arab states are going to be productive and engaged players in the pursuit of ending international impunity. Another possible choice would be an Asian candidate. Although the number of Asian ICC member-states remains small, the region is represented at the Court by the President, who is South Korean. Another high-profile international posting, that of the UN Secretary General, is almost guaranteed to be taken up by Ban Ki-Moon once again, another South Korean national. These factors could play a role against any Asian candidate for Chief Prosecutor at the ICC. This factor is more about style rather than the substance of the next Prosecutor’s Curriculum Vitae. The Prosecutor is largely (if not officially) responsible for being the chief-spokesperson for the ICC and for many, for international criminal justice. In this context, the job is as much about how the Prosecutor goes about his/her business as it is about what business he/she conducts. On the surface, it seems unlikely that states will want another Prosecutor with the aptitude to attract controversy like Moreno-Ocampo. Early rumblings suggest a greater likelihood of a secretary-type rather than a general-type as the next Prosecutor. 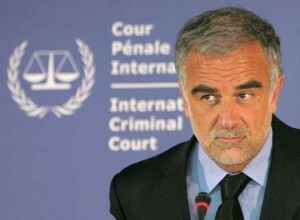 It is anyone's guess right now who will succeed Luis Moreno-Ocampo as ICC Prosecutor. In short, the Prosecutor’s experience and qualifications must allow him to wear two hats at the same time. He must be both a manager and a prosecutor. Will the ICC member-states pursue gender equality as a criteria in the selection of a new Prosecutor? The same AU meeting which ended in an agreement to demand an African Prosecutor also concluded that gender equity should be considered. There is no shortage of highly qualified women. For anyone who doubts this, remember what Louise Arbour did for the ad hoc tribunals and the UN’s Human Rights Council (also, check out comments on the original post). Sadly, international institutions have remained largely resistant to putting women into the most visible positions (I’m looking at you, UN, International Monetary Fund, World Bank!). Nevertheless, it would be an incredible day for gender equality if a woman were to be elected as ICC Prosecutor. Have I forgotten any important criteria? Do you have a possible candidate in mind? If so, let me know who and why they would be ideal. If you know who should be the next ICC Prosecutor, send along a description of the individual and why you think he/she should be chosen. If it’s good, I will feature it as a post! As for states on the outside of the ICC who want to have a say there is only one way to make sure they have your voices heard: hurry up and join the Court! Mark is a PhD student in International Relations at the London School of Economics who writes the noted blog Justice in Conflict. His work focuses on the nexus of international criminal justice and conflict resolution. Specifically, he is examining the effects of the ICC on peace processes and negotiations in northern Uganda and Libya.